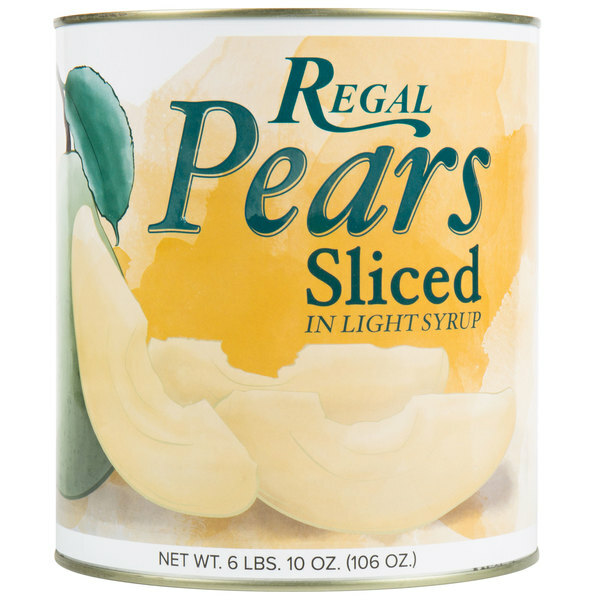 Easily add pears to your menu with this #10 can sliced pears in light syrup. Offer guests of your cafeteria, restaurant, diner, or buffet the consistently satisfying taste of pears with the convenience of canned fruit. Serve pears exclusively, combine with other fruits for a flavorful fruit salad, or top off pancakes or waffles for a delicious breakfast. 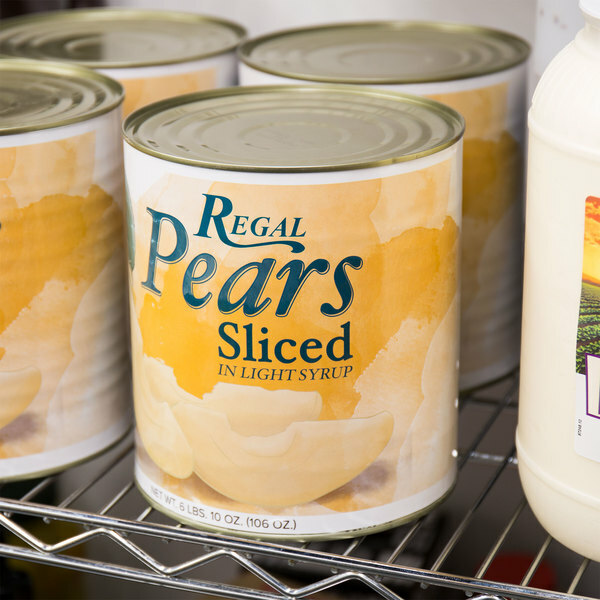 Whichever way you choose to serve these pears, they are packaged in a generously-sized can so you can be in good supply for your patrons asking for more! "The sliced pears are great for our cafeteria. They are soft and sweet and great for patients recovering from surgery. 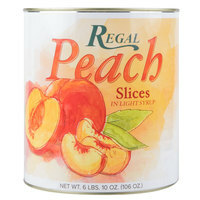 They make a great dessert and are ready to eat right out of the can." These tender pears are uniformly sliced and perfectly-sized for even cooking and baking. Add traditionally tasty offerings to your menu, such as pear tarts or pear crisp topped with ice cream. Since these pears are canned and already sliced, it will save you time on prep work while still providing a sweet, delicious pear taste. Packaged in their naturally sweetened light juice, these diced pears have a classic yellow-white coloring, tender yet slightly firm texture, and a wholesome, refreshing taste your customers are sure to love. If you are looking to serve a side of pears as a refreshing side for your guests, these pears are ready to serve. 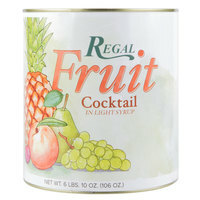 Mix them into a classic, syrupy sweet and satisfying fruit salad or fruit cocktail. Experiment with fresh marinades or glazes for hearty entrees, or offer as sweet toppings for your salad bar. Top pancakes or waffles with juicy fruit for breakfasts at your diner or cafe, or serve them warmed with cinnamon topping for a dessert. All you have to do is open the can and pour! 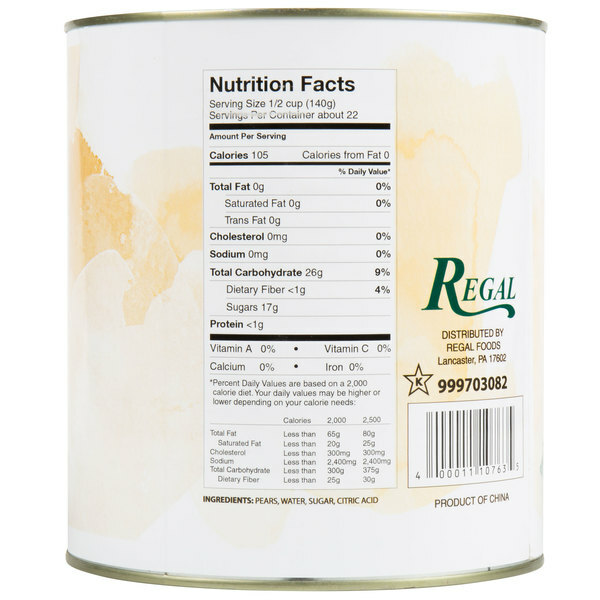 The Regal Foods sliced pears are awesome and so sweet and juicy. Excellent for making pear tarts and turnovers. So sweet and great quality packed in delicious syrup. The sliced pears are nice quality and very tender. The pears are sweet and the texture is perfect. The pears are very nice for making quick pear turnovers. Add a little cinnamon and the taste is extraordinary. Love the sweeet, soft texture of these sliced pears and they are great for pairing with our breakfast fruit bagels. The pears are top notch. 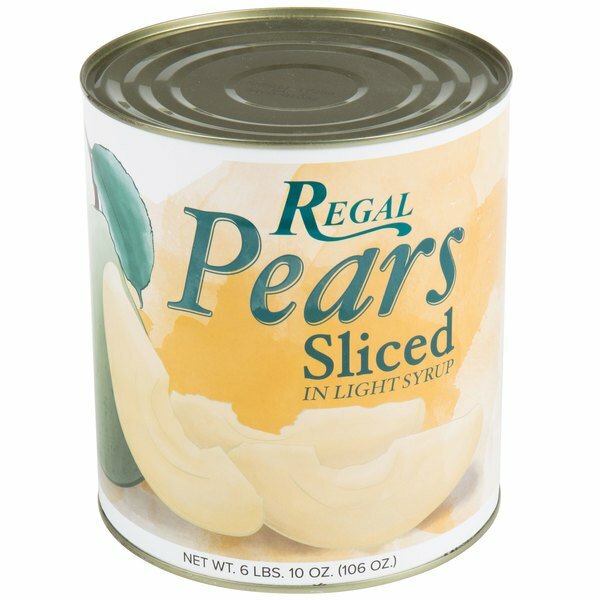 I love these sliced pears from regal foods. They are very sweet and super tender. They are delicious and make a great snack for the kids. The sliced pears are great for our cafeteria. They are soft and sweet and great for patients recovering from surgery. They make a great dessert and are ready to eat right out of the can. 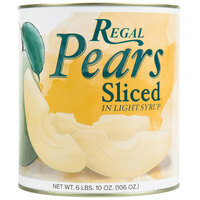 The sliced pears in light syrup are great. They are sliced perfectly and are great for making our pear fried pies. They are a great texture and taste amazing. This comes in handy for my pear galette. It is so easy to make the dough and with canned pears the whole thing is a breeze. They taste super fresh. The resident love the can fruit. I like the prices of the can items. I also like when I had a lot of can that were damaged dented they took care of the problem right away. They sent me cases of fruit with no charge. I want to say Thank you very much. 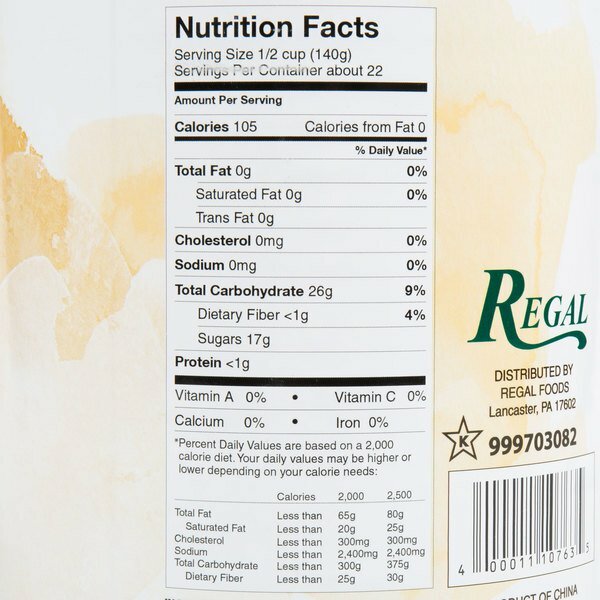 I really like that these pears are mostly pears, sugar, and water. There are no surprise, harmful ingredients. 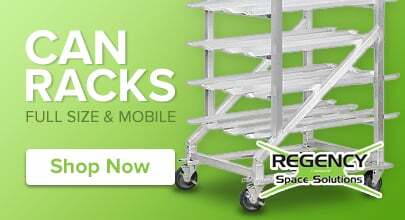 They are good quality, and I would definitely buy them again. I use these pears for my daycare center of 44 children. I used to buy from wholesale stores but now I order from webstaurantstore for my pears. The cans arrived in a VERY timely manner and were all in perfect condition. The kids at my center love these pears! These are good tasting on their own but great when added to other desserts. They add the bulk to fruit salads and are tasty and pretty when atop parfaits. Pears go nicely in the tropical fruit salad. 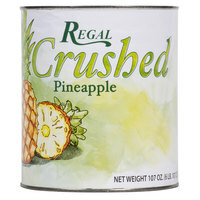 Since I like them alone I bought the sliced, but when I use them with the tropical fruit I cut them in chunks the size of the rest of the fruit and it adds another taste to a great side fruit dish. These are great for use in catering orders in little cups for people to pick up as they pass by. These pears are really good too, closer to fresh than I've ever had before!